Singapore is a city that aspires to greatness. Under visionary leadership, initiatives like Smart Nation Singapore seek to encourage citizens, businesses, and government to support better living through modern technology, and the city-state has risen from its modest beginnings to become a global hub for technology, human capital, and innovation. Singapore was named the second most competitive economy behind the United States in 2018 by the World Economic Forum, was chosen as the Smart City of 2018 by the Smart City World Expo Congress, and has been labeled as a technological leader in the race for the next industrial revolution. What makes this forward-looking city one of the most livable in Asia? Modern convenience is all about making life as worry-free as possible. From an impressive public transit system to an airport often voted the World’s Best, The Lion City’s infrastructure often feels like it’s working for you. Add in the fact that English is one of the city’s official languages and toss in a sterling reputation for safety (crime rates in Singapore are some of the world’s lowest), and you’ve got a city that is primed to receive international guests. 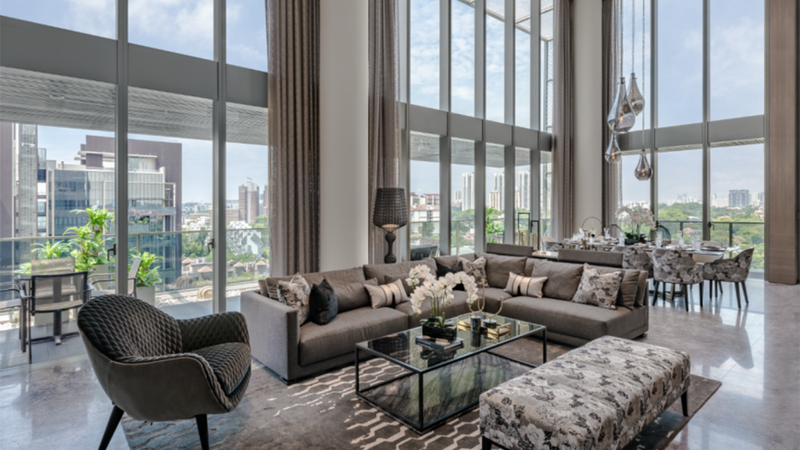 Located a short distance from the luxury shopping and fine restaurants on Orchard Road where Prada, Miu Miu, and Ferragamo await, you’ll have no trouble settling in at this soaring turnkey abode. The country’s flag may be scarlet-hued, but an aerial view shows a city awash in lush green. 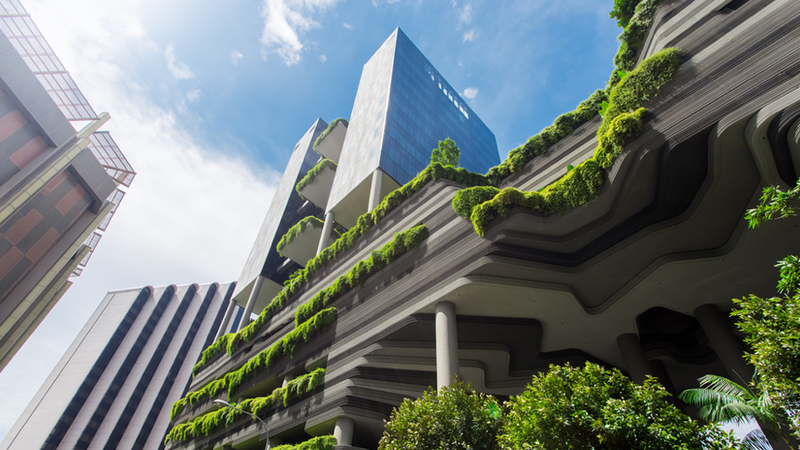 From buildings draped in tropical foliage to roofs lined with trees, Singapore has focused on being sustainably constructed indoors as well as out: “green building” has been mandatory in all new developments since 2008. Here, green and blue spaces are interspersed amid luxury high-rises, shopping malls, and public parks, and thanks to the Garden City’s compact size (it totals roughly 278 square miles), a Saturday morning dip in the ocean can be followed by a visit to one of several stunning National Parks, including the Bukit Timah Nature Reserve and the Singapore Botanic Gardens. 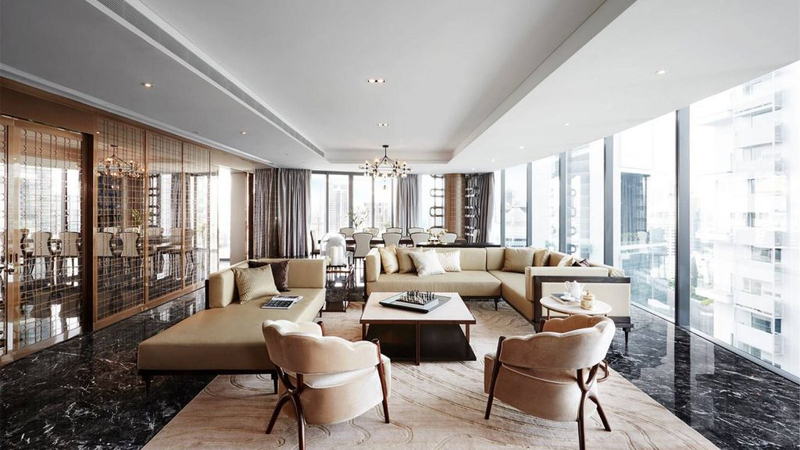 Steps from the latter, this sleek penthouse combines elegant city trappings with lush green views. 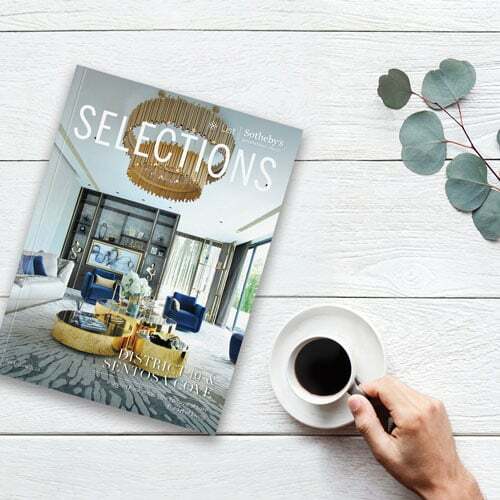 Considered a melting pot of cultures, you’ll find a palpable sense of Malay, Chinese, Indian, and Western influence everywhere from elaborate temples to residential architecture, like this modern reinterpretation of a British colonial bungalow epitomizing east-meets-west style. Take a stroll down Koon Seng Road past the cheerful row homes decorated in ceramic tiles imported from Europe. Taste one of the country’s signature dishes—chicken rice or chili crab—at one of several nightly street markets. Browse the world-class exhibits at a number of renowned art museums. Wherever you find yourself on the island, culture is never in short supply. Bordered by the Johor Strait to the north, the Singapore Strait to the southeast, and the Strait of Malacca to the southwest, the sunny island’s pristine seven main beaches offer something for every kind of beachgoer, whether setting up a peaceful family picnic on Palawan Beach or dancing the night away at Tanjong Beach Club with the livelier set. 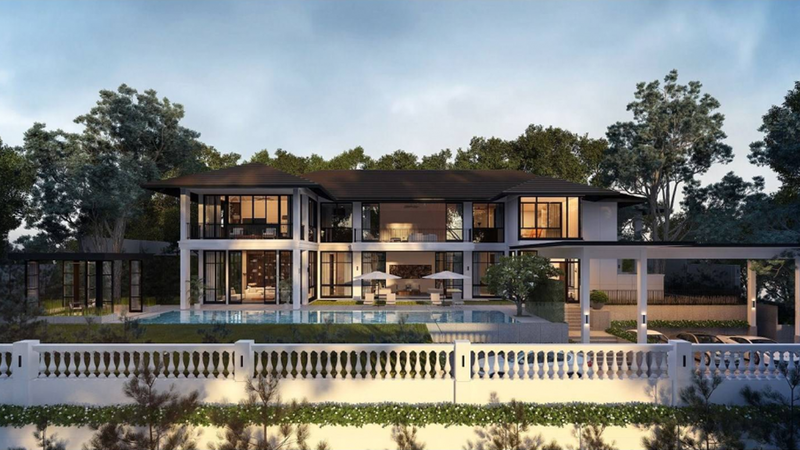 At this Sentosa Cove address, a four-story villa offers the best of waterfront living, including direct marina frontage and an open-roof deck overlooking Sentosa Golf Course. 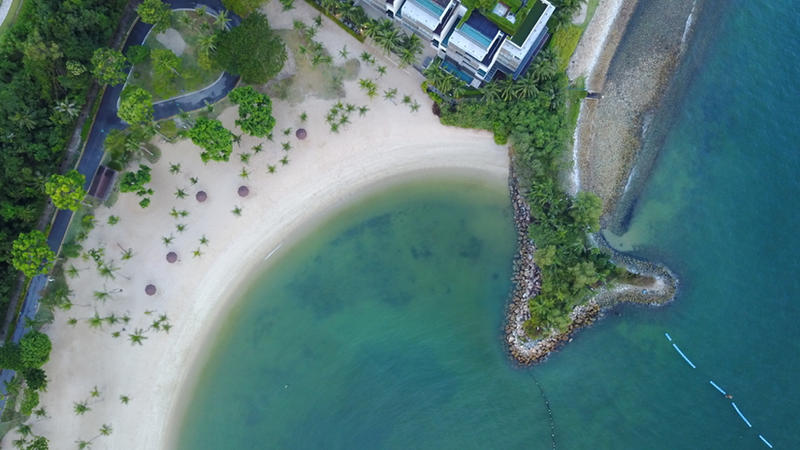 Nearby, Treasure Island plays host to a waterfront bungalow with an indoor/outdoor kitchen, epitomizing the breezy side of Singaporean island life. While some cities achieve their world-class status in a manner more happenstance, there is nothing accidental about the way Singapore has risen to greatness. Through deliberate focus and careful planning and execution, the city-state is leading the race when it comes to global innovation, and is showing no signs of slowing down.